Three girls, loyal to each other - that never happens. All the groups of three implode eventually. Two in, one out. Change. Betrayal. Again. And again. But not us. I make sure of it. I make Ash and Ruby see that our power is in our three-ness. We can do what no other trio can. Together, we?re strong. Thick, thin, boys, mothers, divorce, other girls, secrets, lies, all of it. I'll keep us together. Watch me. 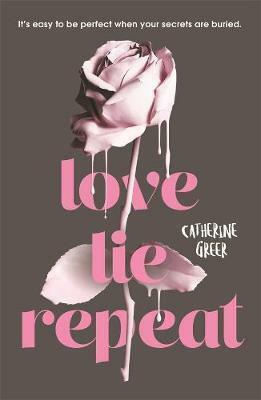 Intoxicating and intense, lush and chilling, Love Lie Repeat is the unmissable debut novel from Catherine Greer. Catherine Greer lives in Sydney with her husband and two teenage sons. Catherine started her career as an English teacher at a private high school on Vancouver Island, Canada. After she immigrated to Australia, she built a freelance copywriting business. When she isn?t writing YA novels and other books for children, she runs a happiness blog, focusing on positive psychology. Catherine was a collaborating author with Stephanie Dowrick on Choosing Happiness (Allen & Unwin), and her debut picture book, Jacaranda Snow, will be published by Wombat Books.